Being a team parent is a great way to get involved with your child’s team as well as meet new people. With this checklist of tips, you can stay one step ahead of the game, and you’ll help your team have a positive season. 1. Be clear about your team parent duties. When you accept the job of team parent, be sure you and the coach are on the same page when it comes to what he expects. 2. Develop and distribute a Team Roster with contact info to all parents and coaches on the team. If you have time, laminate 3x5 cards printed with the players' names and numbers on one side for parents to keep in their wallets and use at games. This encourages them to cheer using players’ names. 3. Outline a list of volunteer needs. You’ll need a snack schedule, a concession stand schedule, a schedule for someone to run the clock, and a schedule for carpools to away events. 4. Present those needs at the team parent meeting and rally for their support. If you can get others involved at that meeting, it will mean less phone calls later. 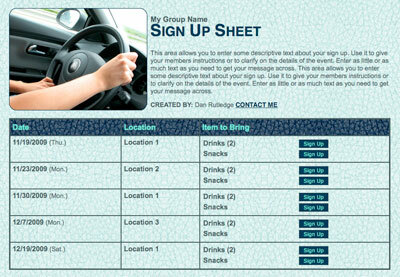 SignUpGenius is a great tool to use for your volunteer schedule. 5. Prepare a team budget and figure the total cost divided by the number of players on the team. Often times, parents would much rather pay one fee that covers snacks, gifts, party, etc. than to pay a few times throughout the year. 6. Set up online sign ups where parents can go to purchase merchandise, sign up for concessions duty, schedule carpool shifts and more. 7. At the team parent meeting, distribute a roster and a game schedule. Make sure other team parents are clear about how you will be organizing online and that they know exactly where to go to sign up! Use a Welcome Letter to introduce SignUpGenius to team parents! 8. Start collecting early for the coach’s gift(s) and for trophies if your team is going to get them. This way you won’t be scrambling to contact everyone at season’s end. 9. 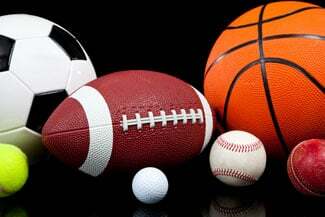 At the pre-season parent meeting, give out a schedule with games, practices, tournaments, playoffs, picture day, opening day, and fundraising events. 10. Get parents to pitch in for snacks. Create a snack sign up and distribute a list of healthy snack ideas! 11. Carry a small first-aid kit with you. Include band-aids, bug repellent and sunscreen. 12. Avoid too much or too little communication. Parents need to be informed, but they don't need three page-long emails a day. 13. Recruit help early for your end-of-the-year party. See our fun ideas for end-of-season parties. Plan your team banquet with a sign up! 14. Give parents plenty of notice for required concession stand duty. SignUpGenius sends automatic text or email reminders for you, saving you time! See our tips for running a successful concession stand! 15. Be a supporter of the coach, even if you don’t like her. You are there to help make her job easier, not add drama to the team. 16. Parents tend to stand in clusters and complain when they don’t like something. Stay away from negativity and let it be known that you are not interested in joining the fray. 17. Encourage parents who are unhappy to take their complaints directly to the coach, not to you, not to other parents, and not to their kids. 18. Thank people. The volunteers, the coaches, and the officials - they are grateful for words of appreciation because they often only receive negative feedback. 19. Be a cheerleader for every player, not just your own kids, and certainly not just for the team’s star players. 20. As a team parent, you are a leader. Remember that due to your position, people are looking up to you, watching how you react to the coach and other team issues. Set a positive example! A team parent can contribute toward setting the tone for a good season. With good communication and organization, you can help make it a great experience for parents, coaches, and players alike. See more sports team organizing ideas HERE. Set Up the Team Volunteer Schedule!